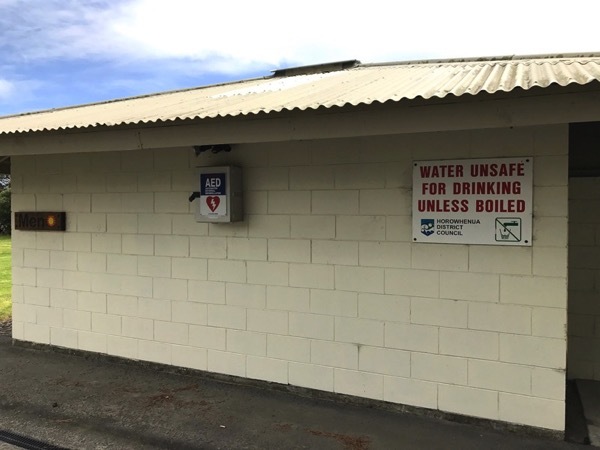 The AED is stored in a stainless steel box on the street facing wall of the public changing rooms in the Hank Edwards Reserve. To unlock the box call 111 and give the address and Postcode 5573. You will be given a combination number. Full instructions play on the defibrillator. Defibrillator location at Hank Edwards Reserve. 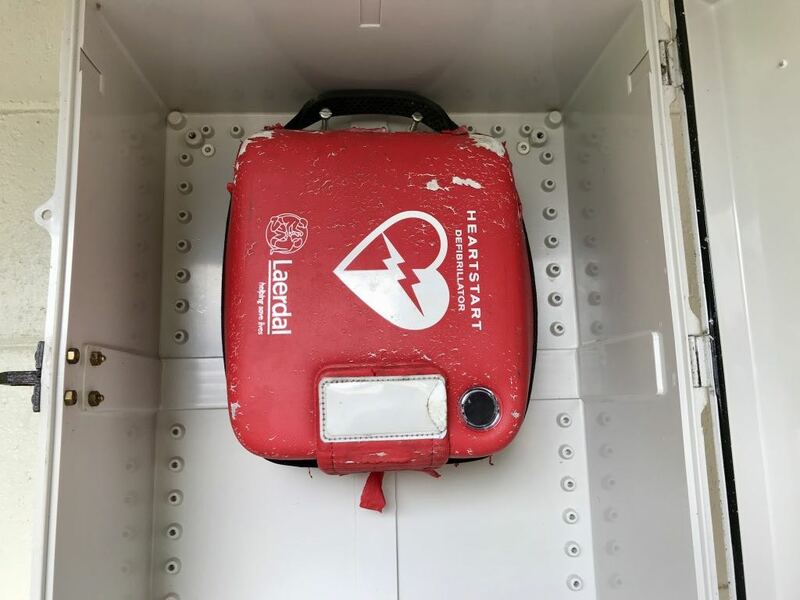 Inside the weatherproof box is the defibrillator kit which is regularly checked and maintained. The photos below show the kit and what’s inside. 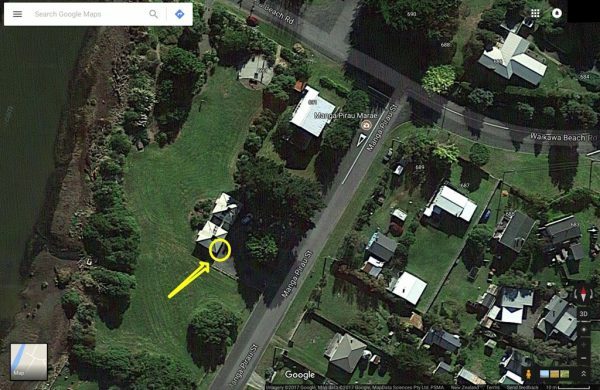 The AED is provided by the Waikawa Beach Ratepayers Association as a service to the community. The first step in saving a life is being able to recognize an emergency. Know the warning signs of a heart attack. Anyone who is unresponsive should receive emergency care. If you are with someone who complains of chest pain and then collapses, odds are he or she is having a heart attack or is in cardiac arrest. If possible, have someone else call  while you start CPR. The 111 operator will talk you through how to start CPR and the AED has instructions on how to use it. 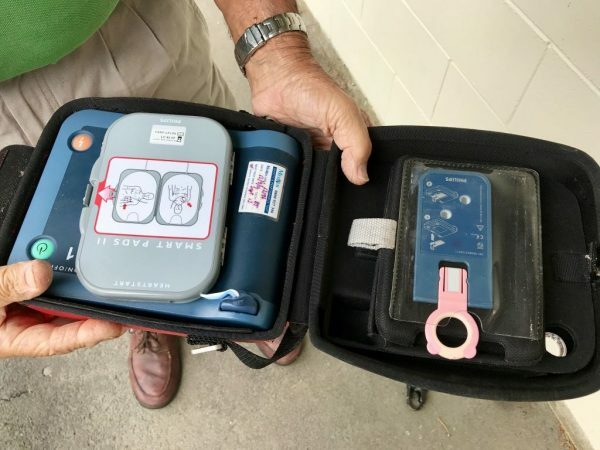 It involves placing pads on a person’s chest, letting the AED analyse what’s needed and then pressing a button if the machine instructs you to.